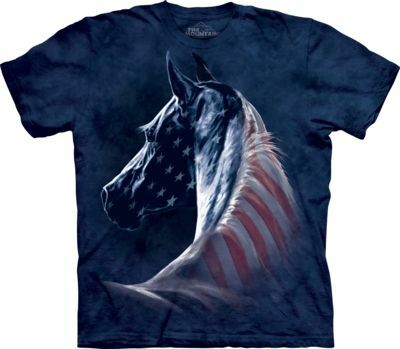 Patriotic Horse Head T-shirt is a design by Kim McElroy. Show your love of horses and America with this patriotic t-shirt from The Mountain®. 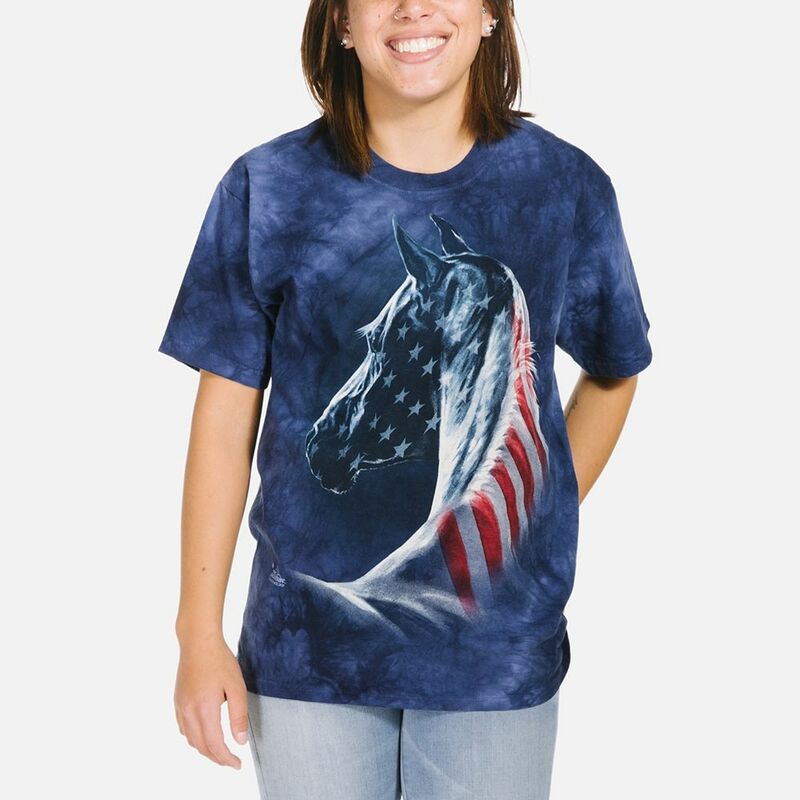 The unisex t-shirt features a horse painted with the stars and stripes of the American flag.